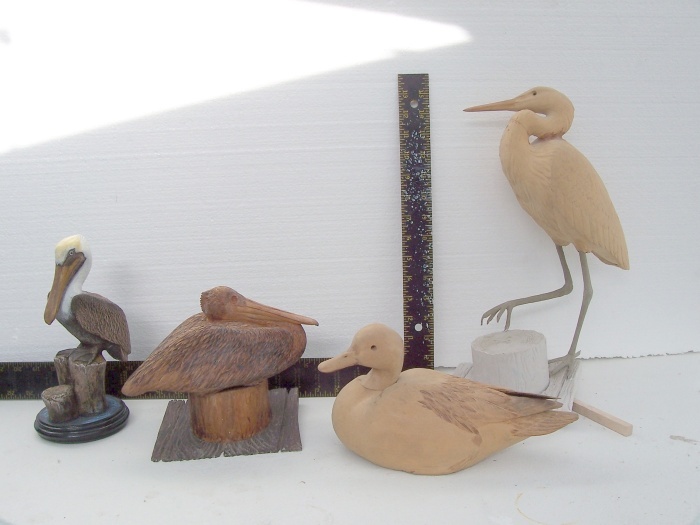 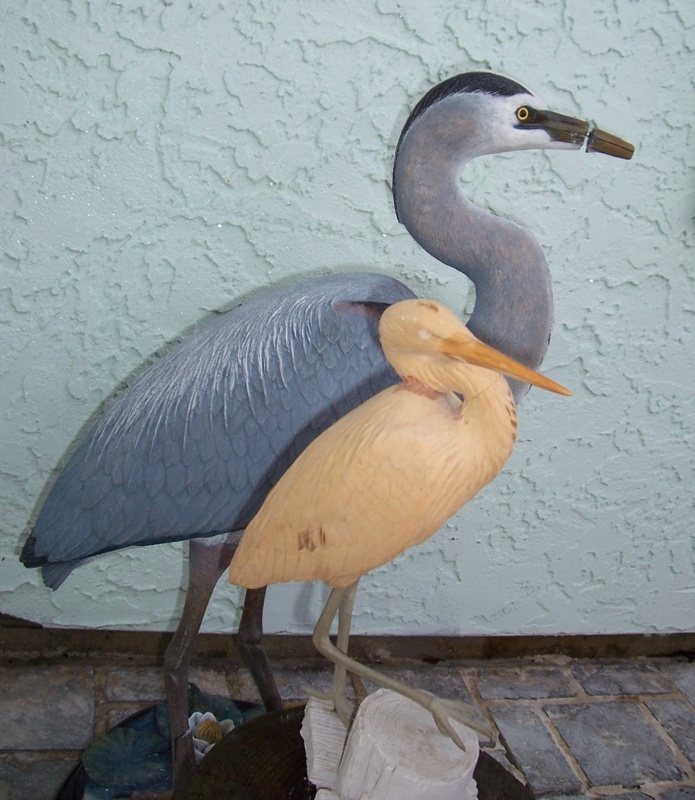 Popular small brown pelican is on left; original was made in clay. 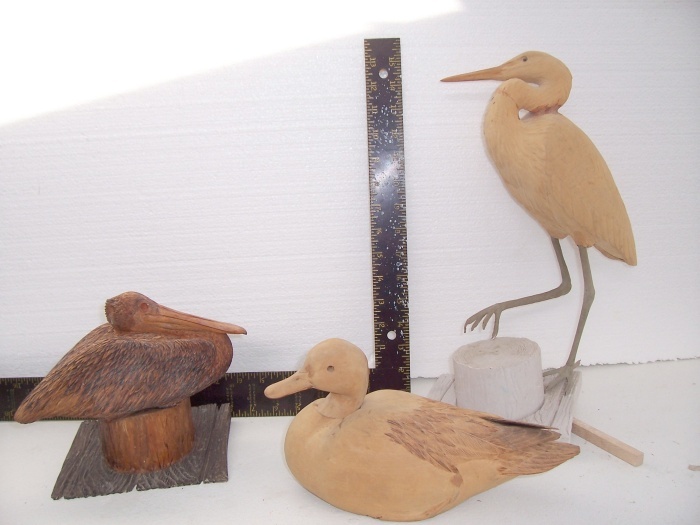 Pelican sitting on piling is finished wood carving woodburned all over. 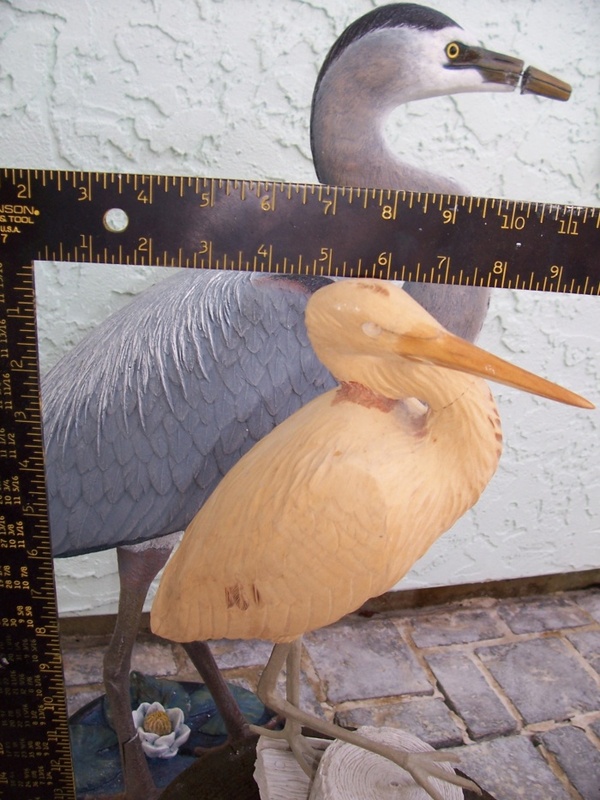 Awesome life size brown pelican or white pelican editions.